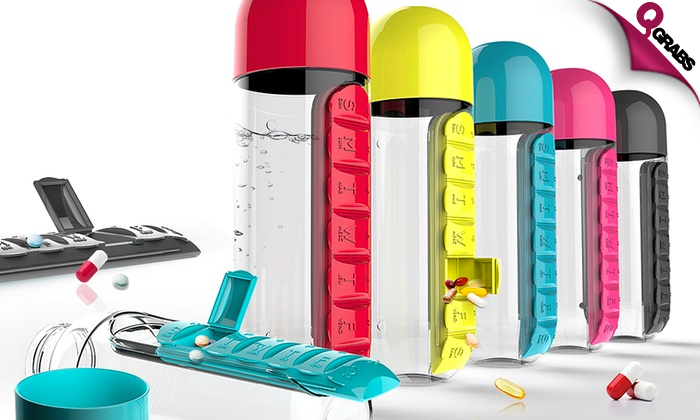 2-in-1 Water Bottle with Pill Organizer! 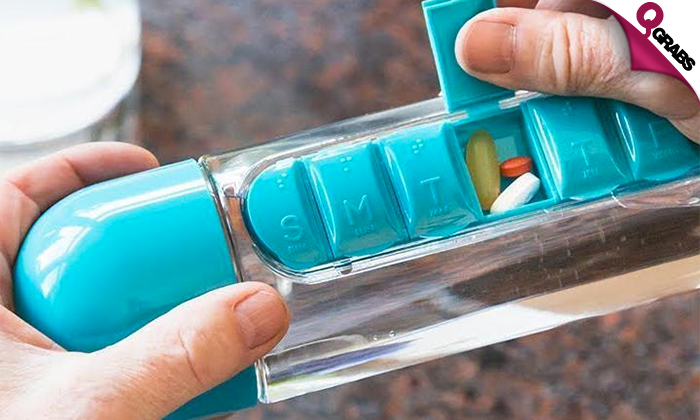 This handy 2-in-1 device is attached with a pill & vitamin organizer. Each compartment is marked with a letter to represent the day of the week. 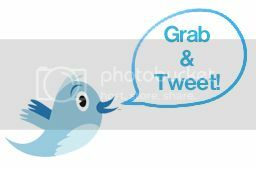 The bottle can also be kept horizontally with the help of small support legs on it’s body. Fits most cup and bottle holders. 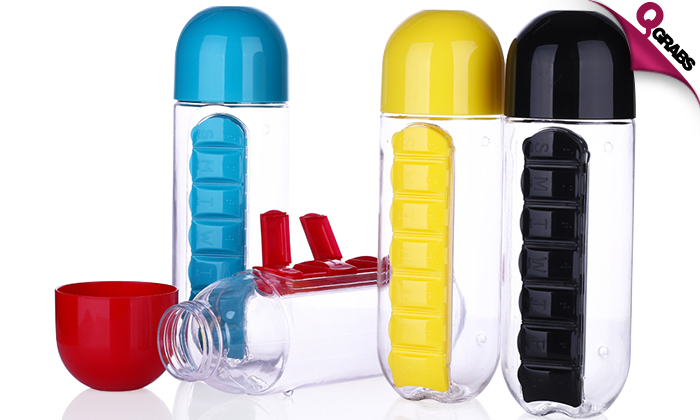 The pill organizer can be removed from the bottle and used separately as well. The box comes out in a sliding fashion. When Pills & Water go Hand-in-Hand at 64% off!